Where to start with these trousers?! I have been dreaming of making a pair of gingham trousers for such a long time and I finally made a pair! Ever since I made my gingham top last year I've been obsessed with gingham. My top has been one of my most worn me-made items ever and I wore my gingham shorts all through summer so it was only natural that a pair of trousers would be on their way! These are also perfect for autumn and apparently for taking photos in front of red post boxes too. It took me a while to find the right pattern for these trousers. I had quite a strong idea in my mind of what I wanted and although the pattern I chose doesn't have exactly the same features, the trousers have turned out perfectly. 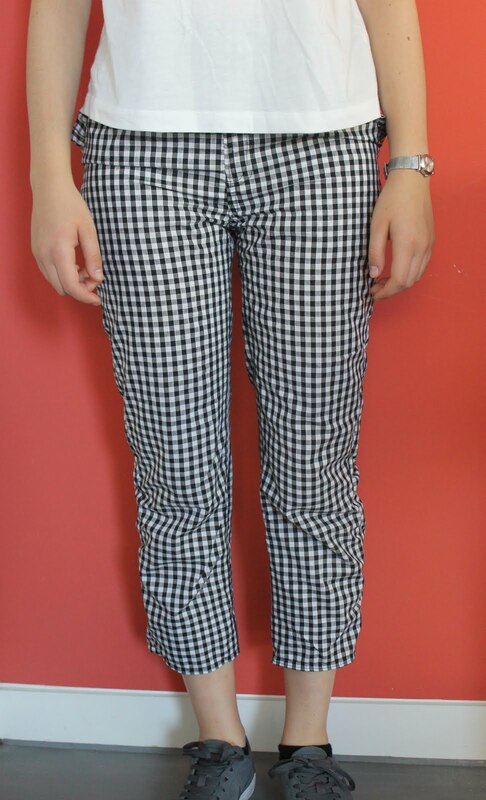 I've seen quite a few pairs of gingham trousers available in shops on the high street, and was particularly inspired by those in Zara for the cigarette-style trouser leg (although I didn't want a belt). The pattern is the Cinnamon Trousers by CocoWawa Crafts, which has the added bonus of coming with a really clear sew-along video too. 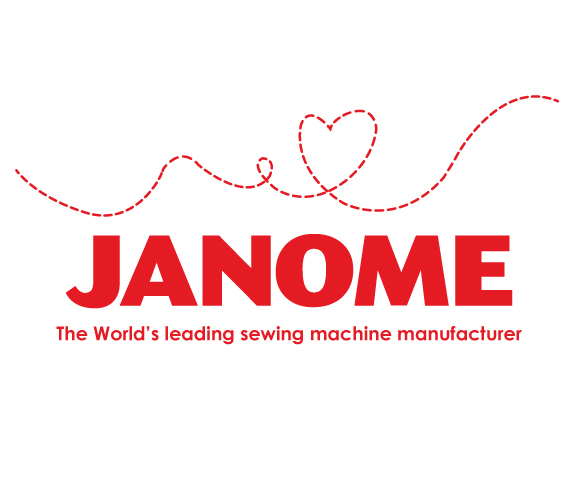 It features an elasticated waist at the back which makes fitting much easier as well as an invisible zip at the side. I'm really pleased with this pattern and I expect I'll be making another pair at some point! A feature of the pattern that I knew I wanted to keep was the pleats at the pockets. I did worry slightly that the trousers would be too out-there with the pleats and the gingham but actually I feel as though the pleats add a nice bit of interest while still being subtle enough to not be over-the-top. The pattern does come with an option for ruffles/pleats at the hem of the trousers too, but I think that would have been a step too far! As for the fabric, it's perfect for the trousers I had in mind. If you recognise it it's because it's actually exactly the same fabric that I used for my gingham top last year. 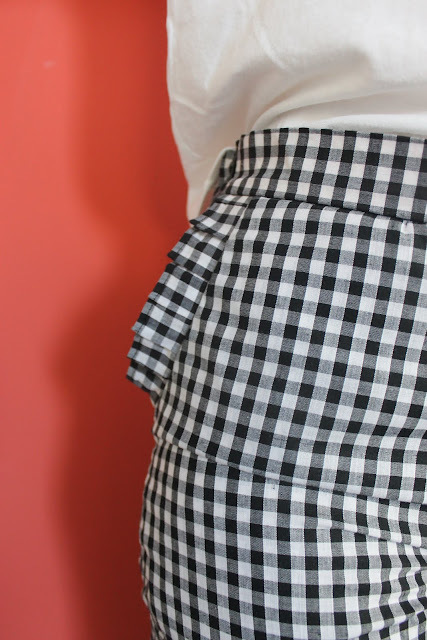 I wear the top all the time and the gingham is exactly the right combination of size and colour so I knew I wanted to make the trousers out of the same fabric. The lovely people at Craft Cotton Co very kindly sent me some more of the gingham in order to make my trouser dreams come true, thank you so much! As you've probably guessed by now, I love these trousers! I thought about making them for so long and I'm so glad I finally did. It's definitely Autumn now and so I expect that these trousers will be getting a lot of wear over the next few months. I expect I have more gingham items of clothing than the average person now, although I make no promises that there won't be more in the future! Super lovely, especially with those pockets. You are very Audrey Hepburn! They look fabulous. Love the pleated detail on the pockets. Very nice! And I love so much the ruffles of your poketts! Your Cinnamon trousers are so cute! I actually won this pattern on Instagram, and have been wanting to make it. I probably won't get to it until Spring, but I just love what you did with your version. Without the ruffles I didn't recognize it, but it is good to know that it is so customizable. Very flattering. The gingham works great, unexpected and fresh.